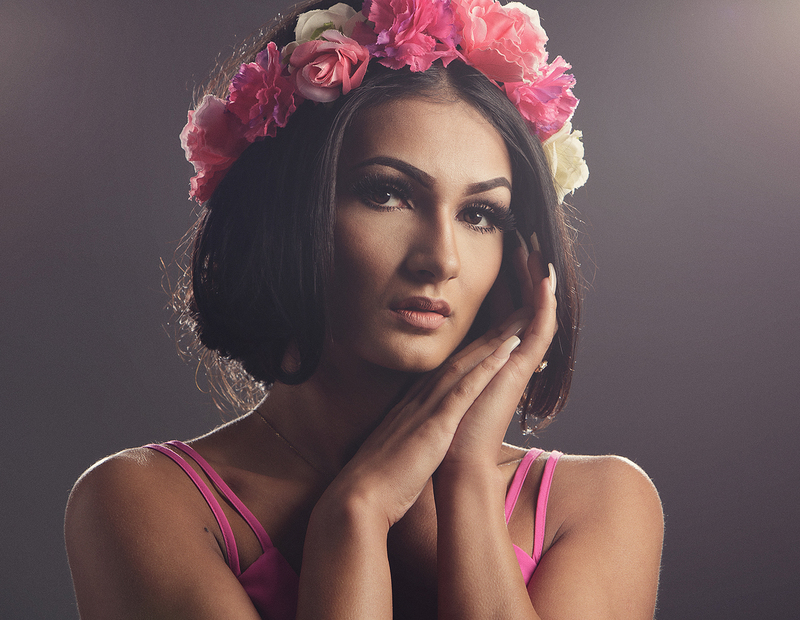 My Superclass will be covering many lighting techniques, including all the setups used in the photos in this blog post. This will be a great opportunity for those lacking confidence in their lighting, those wishing to expand on their techniques or even those who've little to no experience. I will be explaining the fundamentals in lighting to ensure attendees have a strong understanding in portrait lighting they can then apply to their own work. Its not just a matter of following a recipe, but instead its about knowing the ingredients to be able to create beautiful portraits from scratch for themselves. Saturday January 14th from 9-11am I will be presenting my Masterclass on Photoshop for beginners. This class is really for those very new to Photoshop as we will be starting at the beginning. We will look first at navigation around the software and carry on into explaining how Photoshop works with the use of layers, masks and a great deal of very useful tools. We will edit several images so that attendees leave equipped to edit their own images, doing such things as extending backgrounds, retouching skin, dodging and burning to bring out details, and adding textures for an artistic look. 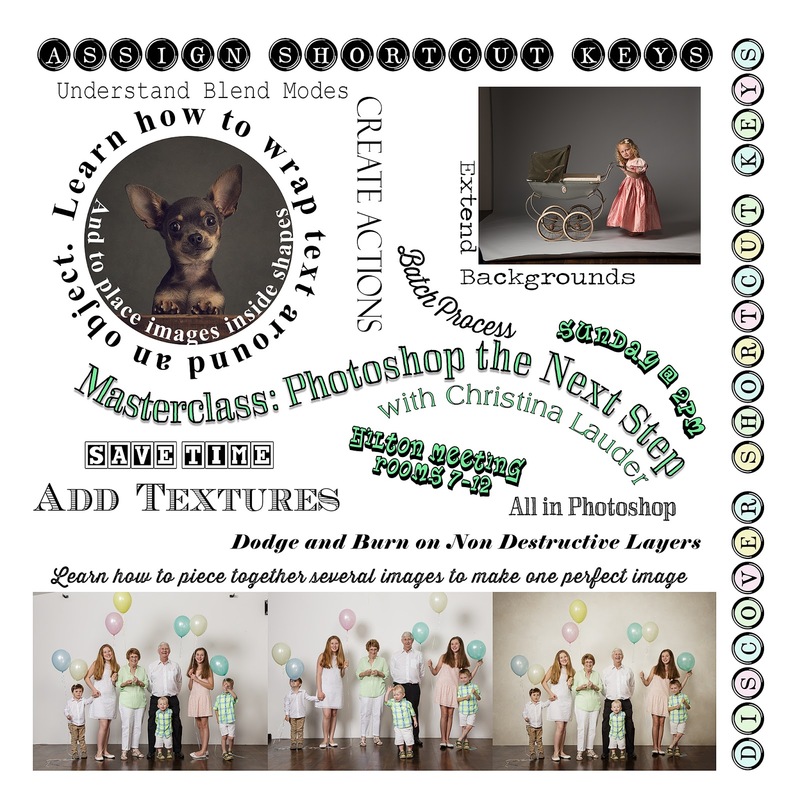 Sunday January 15th from 2-4pm I will be presenting my Masterclass on Photoshop: The Next Step, which is intended for those already using Photoshop but who need a greater understanding. We will be covering as much as we can in the time we have from the items listed in the image below, hopefully providing many time saving and useful techniques. And then finally I have 4 slots on the Bowens stand during which time I will be demonstrating their new lighting system in a child portrait scenario. You'll get a chance to see their lights in use with large softboxes which tend to be my favourite and most used light modifiers. I plan on showing 3 or 4 different looks. Its looking like quite a busy week but I'm really looking forward to it. It happens to be one of my favourite weeks of the year and this will be my 11th year in attendance and my 7th year as a speaker. As always its incredible to catch up with so many old friends from these 11 years and really quite lovely to meet so many new ones. See you all very soon!! !